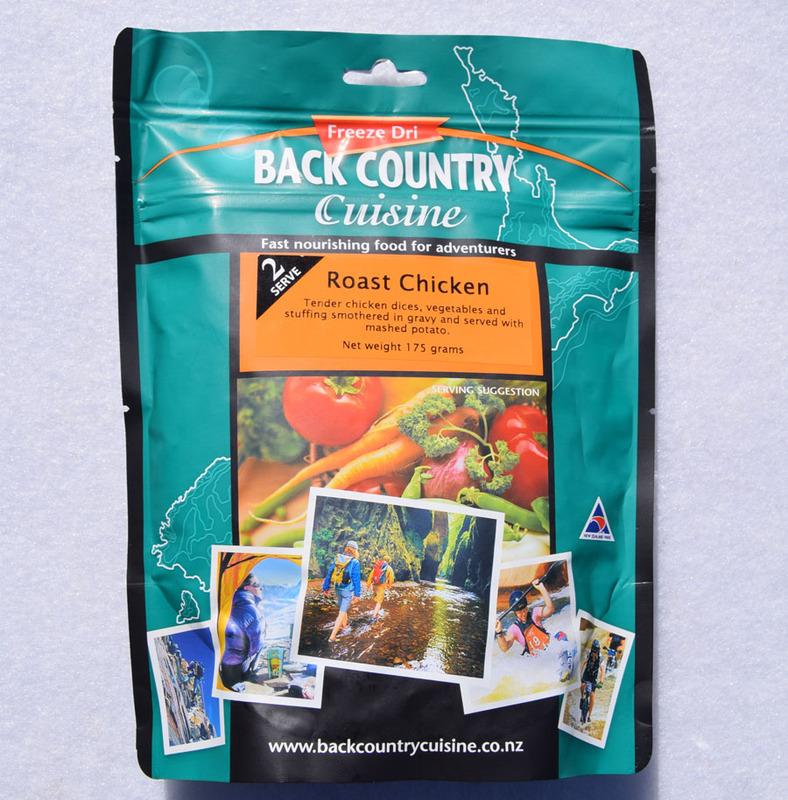 Back Country Cuisine is probably the best known range of outdoor freeze dried meals in Australia. These meals are stocked by the majority of outdoor stores and many people consider them the staple meal choice for outdoor activities. 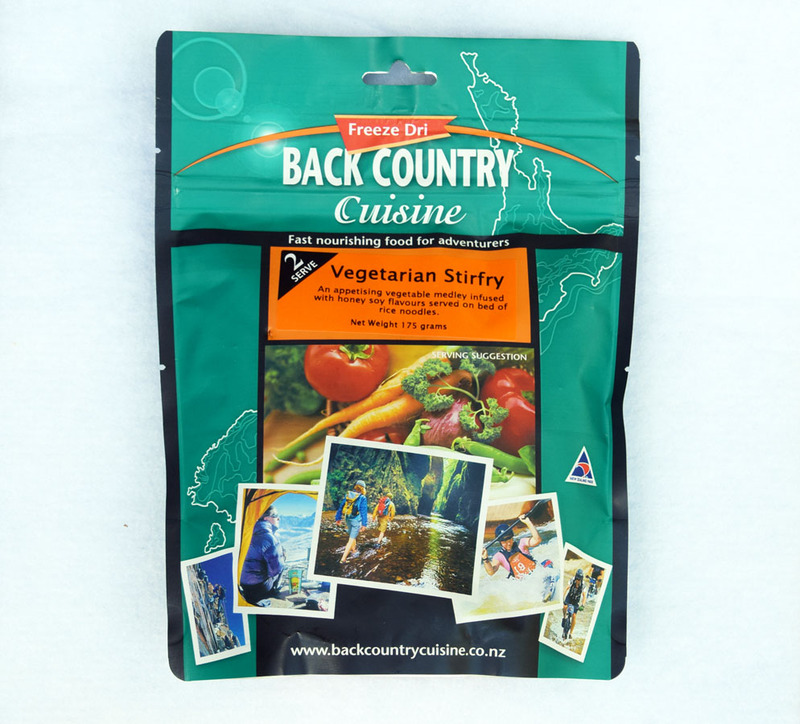 Back Country has a huge range of meal choices, currently sitting at a range of 24 (as listed on their website) and many stores seem to select a ‘top ten’ so you are unlikely to find the full range in any one store. In fact some of these meals choices that we tested had to be purchased from New Zealand (place of manufacture) as I couldn’t find them in Australia. In addition to the large variety of single serves (entrée size/single person), the company also has twin serves although the single serve options don’t seem to have as large a variety at least as far as the stores I visit. Please note that I have a love of spicy food and that a good curry for me is one that makes my head sweat. I also dislike flavour enhancers and emulsifiers that are present in some meals. While I realise that everyones taste buds are different I think that you will enjoy the meals that we have selected. At the time of releasing this review we had sampled 22 out of the range of 24 with the Malaysian Vegetable Curry relatively new to the market and the Hearty Venison Casserole being almost impossible to find. My favourite meal from Back Country due to a combination of both taste and texture. I can very easily eat a twin serve meal all by myself. Another chicken meal and my second favourite meal from Back Country. Another chicken dish. While I expected a bland dish I was pretty happy with this one and who doesn’t like Roast Chicken? A lamb dish. I didn’t expect to like this choice given my childhood memories. Just love the creaminess of the potato mash mixed though with the lamb. I scored this the same as the Roast chicken but it really depends on what I’m feelig like on the day which one I’ll choose.